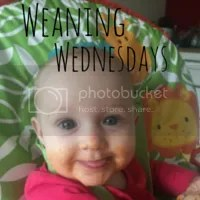 Hi and welcome to ‘Weaning Wednesdays’. If this is your first time here I would love to see you join in. A place to link up all your weaning, baby and toddler food related posts. This weeks special mention is Emma’s Mamma with her fab post and recipes. The linky will open fortnightly on a Wednesday and run until the following Tuesday at midnight.